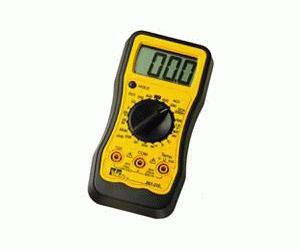 310The two multimeters that make up the Resi-Pro™ line deliver the functionality required by residential electricians to perform routine testing operations, such as measuring AC/DC voltage, current, resistance and temperature. Both models are CAT II safety rated up to 600V, well beyond the demands of typical residential systems, plus offer large, easy-to-read displays. Compact, handheld dimensions make Resi-Pro™ multimeters portable without sacrificing a rugged design including a protective rubber boot and overload protection on all ranges. Resi-Pro™ multimeters are backed by a two year limited warranty.